This would be an entire section of <insert city name here> up on a hill side, where all of the houses are giant lifelike heads that appear to look down upon the city with a range of expressions. These could resemble current famous people or Egbert of Wessex** or your dead aunt Mabel. Most of the home would be underground and utilize traditional construction methods. Since the home is on a hillside, a daylight basement or garage would be easily achievable. Smoke and cooking odors would be ejected through the ears. **Egbert rates honorable mention because he incorporated a diphthong into his kid's name (Æthelwulf). Personally, I think he was just showing off. I'm shocked to discover that this has not already been implemented. I like this but can my head have 4 eyes for more natural light? I like the idea of a crown on top of the head as the railing for a rooftop pool, deck and cabana. 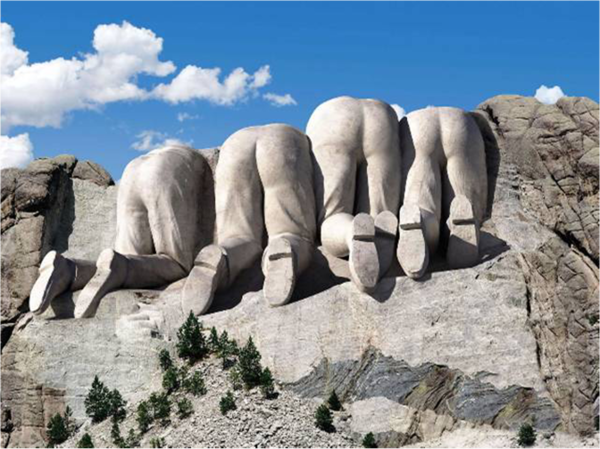 So kind of a Mt Rushmore, but with a residential option...could there be a connection with the cataclysm that destroyed life on Mars with their timeshare flats opening in the Face on Mars? Would explain all that pocking, it's where all the estate agents signboards were. Alternatively, the entire city, or at least one of its skyscrapers, could be built to resemble your favorite bust. 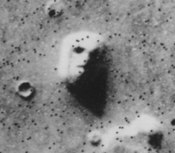 Not sure about the Mars thing though, but that certainly would explain a lot about some of the features that have been observed there. Be careful what you wish for, [Una]! I suspect that is what started the Burger King franchise (not that that's a bad thing - I like their burgers) The story would go something like this: The guy constructs a lookout tower that resembles his uncle Frank's head --- He puts a crown on it because he thinks it adds a regal flair --- He hangs out on the top, splashing around in the water that is NOT there because he wanted a pool, but because of poor drainage conditions --- People constantly come by, asking him questions about it --- He finally decides if these guys won't quit bugging him he'll sell them burgers until they go away --- They don't go away --- A franchise is born.